Completely updated for current HD, UHD, 2K, and 4K workflows, Avid Editing blends the art and aesthetics of motion picture editing with technical, hands-on instruction. 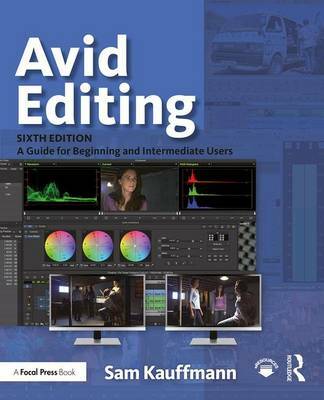 Appropriate for beginners and intermediate users who need to refresh their knowledge of essential post-production techniques, this fully revamped and full-color sixth edition is also an excellent tool for editors coming to Avid from other non-linear editing platforms. Topics covered include trimming, audio, effects, titles, color correction, customization, inputting, and outputting. A robust accompanying online eResource features professionally shot footage and Avid project files, allowing readers to work alongside the lessons taught in the book.